EUR was empowered by the EU’s Investor Confidence and at the same time Fed’s comments left a positive impact on USD. EURUSD will be affected by today Trump’s conference. 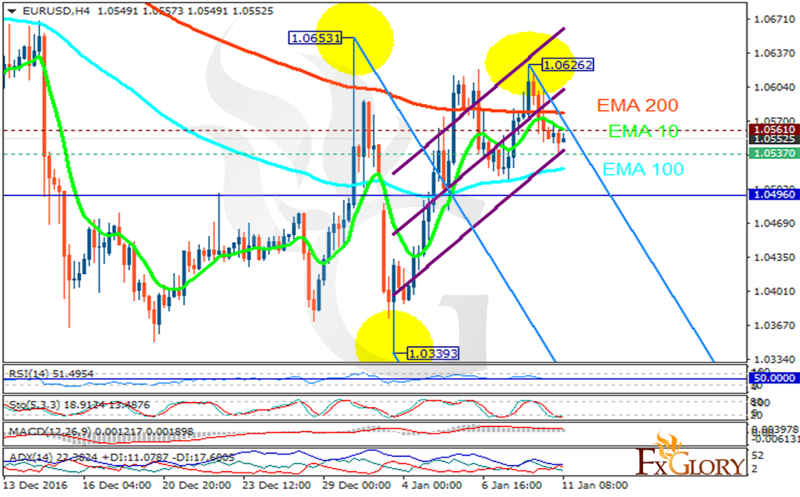 The support rests at 1.05370 with resistance at 1.05610 which both lines are above the weekly pivot point at 1.04960. The EMA of 10 is moving with bearish bias and it is above EMA of 100 and below the EMA of 200. The RSI is moving above the 50 level area, the Stochastic is moving in low ranges and the MACD indicator is in positive territory. The ADX is showing a sell signal. It seems that the pair is going to fall within the Andrew’s pitchfork. Short positions are recommended targeting 1.050 area.